Register Log In A Gardeners Forum Forums Gardening in 2007 Caladiums anyone? I kept my caladium bulbs in their respective pots thru the winter. As of yet, no sign of caladium sprouts. Anyone in higher zones such as mine seeing caladium sprouts? Needless to say, I am impatiently awaiting their presence. or are they still dry and you're waiting for sprouts/?? 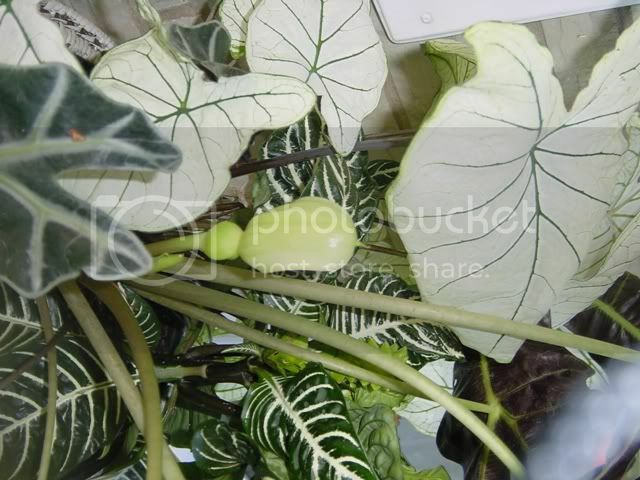 but not alot, just enough to wake the bulbs up..
Thru winter, I barely sprinkled the caladium pots. I just started watering the soil a few days ago so I'm hoping I see something sometime soon. Have they been exposed to some sunlight either??? some sunlight depending on the day. I'll keep you posted! Caladiums need really warm soil to get growing, so hopefully they'll be up soon. I left mine in the pot. I will put them in the window and see if that helps get them going. Thanks for the tip. Mine bloomed one year and it had a lemon fragrance.